Note: Last updated on January 5, 2013. Starting today Blogger added some new features, the "Search preferences" that aims to maximize our blogs in search engines. If you care about the ranking of your blog, then this new feature is very exciting news. Maybe you realize that there is new option in the settings tab, the "Search preferences". 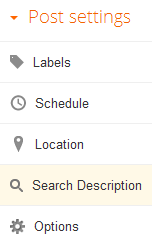 By clicking on it will bring up the three categories, the Meta tags, Errors and redirections, Crawlers and indexing. For Meta tags category is serve to add a description tags on our blog, by enabling the Meta tags option then everytime we make new article will appear a new option called "Search Description" that allows us to add meta description to any post. The next category is Errors and redirections, with this feature you can set the message that appears when visitors visit a page that is no longer exists on our blog, the "Page Not Found 404" error, and more helpful is that now we can redirect visitors to a particular page as we wish. The last feature is Crawlers and indexing, here we can create our own robots.txt and header tags for our blog. It seems that now we can set the label of our blog to got indexed in the search result. 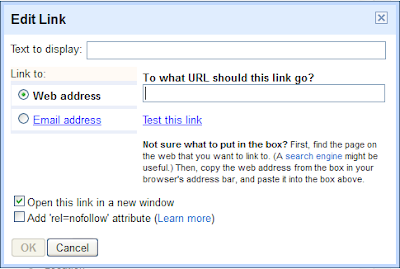 And there is one additional feature on the link tool, where there is a new option, the ability to add rel = "nofollow" on every link. Blogger is now becoming increasingly intense. Lots of improvements, and all these new features become my favorite. Previously I was a little worried when switching my blog theme to Blogger Dynamic Views theme, itâs because I read many articles if the Dynamic Views theme is not SEO friendly. But I decided to install it regardless of peopleâs opinions. After trying it for over a week, I did not find any bad effects on traffic, even an increase in visitors and page views, indicating that changing the theme from regular theme to Dynamic Views theme is the perfect choice. 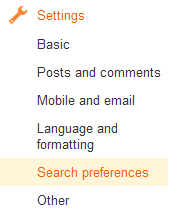 Update: Blogger finally adding Search preferences feature for SEO purposes.